A large irregular chunk of naturally occuring ‘native’ copper. Source Bern Will Brown found this sample at an old cabin site on the Dease Arm, Great Bear Lake. 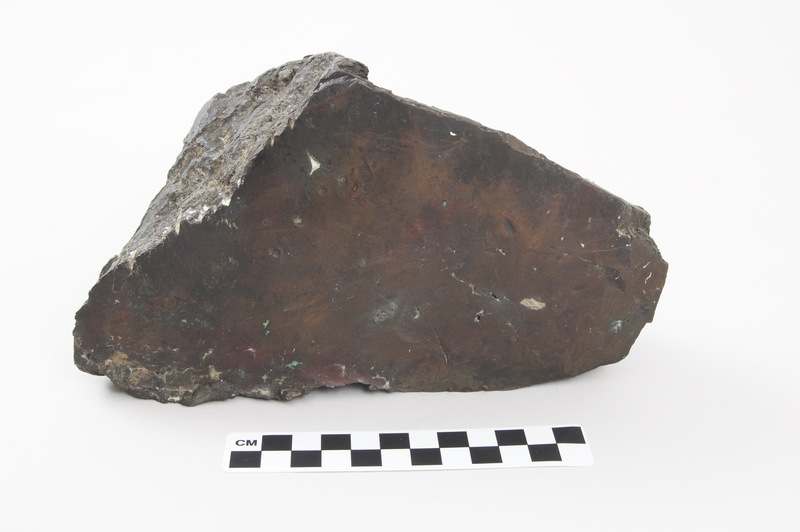 Copper prospectors were active in the Great Bear Lake area during the 1920s-1930s which could explain why this mineral sample was found there.